"The Role of the Artist in Watershed Times"
Mystic River featured in The GUILD Sourcebook of Residential Art 5. A bestselling book by Arjuna Ardagh uses interviews with leading authorities in contemporary spirituality, like Eckhart Tolle, Ram Dass, Jean Houston and Dana Lynne Andersen, to present a fascinating report on contemporary spirituality. You can order the book from the site and get a one year subscription to the Translucent E-zine. Please use the promotional code [PAINT]. Awakening Arts is the vanguard of a new consciousness in Art & Culture. With your help we can blossom and grow. The Arts in general are not well supported in our current culture, and support is even less for Art which seeks to uplift consciousness. The Arts have always led the renaissances of culture and consciousness, but the contemporary art scene has become jaded, mired in materialism and stuck in a contest of shock value. The arts drift rudderless at just the moment in history when their vision is most needed. Art has the power to transform culture and consciousness- its time to reclaim the noble mission and high purpose of the Arts. 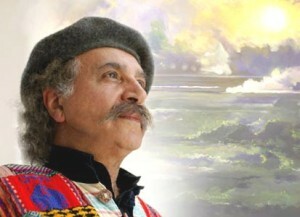 Journey to Italy with world renowned visionary artist RASSOULI! Experience the breathtaking art of Assisi, the natural beauty of Umbria and the heart-opening blessings of St. Francis of Assisi. Dana Lynne Andersen featured in India's New Age Magazine "Life Positive"
Read the Article: “A New Center in Art"
featuring paintings by Dana Lynne Andersen and Rajesh K. Baderia. 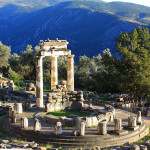 A "magical mystery tour" through the ancient land of the Goddess. From the pillars of the Acropolis and Parthenon to the gateway of the Elusian mysteries, we will touch the remnants of an archaic world and allow its enduring vibrations to strike a higher octave within us. Gathering Visionaries & 'Troubadours of Transformation' to reclaim the power and purpose of art. A weeklong symposium of inspiration, classes, studio time, generative dialogue & relaxation in nature. Our gallery currently features the uplifting visions of Dana Lynne Andersen, whose beautiful and inspiring work has been featured in books and magazines and at international conferences, churches, civic centers and galleries. Uplifting contemporary original art, fine art prints and posters are available for both home and corporate environments. Awakening Arts Studio offers Workshops & Retreats in Art, Creativity and Consciousness. Classes use creative modalities such as painting, drawing, pastel & collage as vehicles for Self expression and spiritual growth. Workshops & retreats in the inner evolution, integrating creative arts process with studies in yoga, meditation, chakras, and the evolution of consciousness.